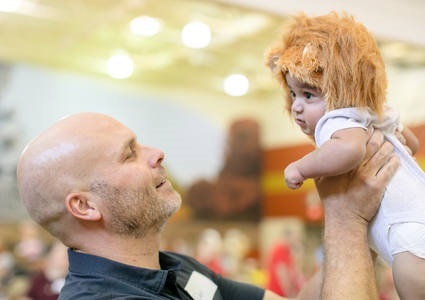 2018 NICU Reunion - Let's get Wild! It was a jungle, complete with little lions, tigers, bears and … bumble bees? 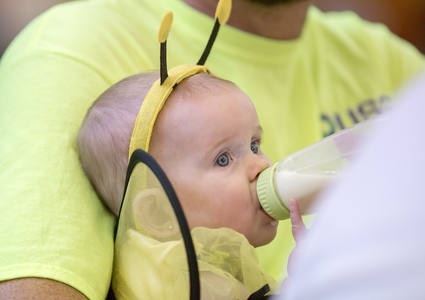 Yes, those could be spotted, too, at the 2018 Methodist Women's Hospital NICU Reunion. 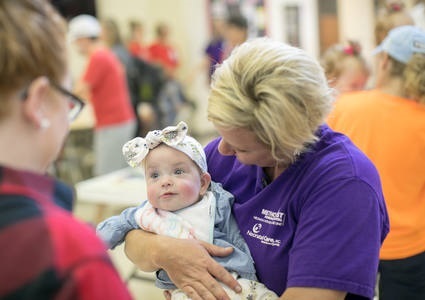 The event, which gives NICU graduates and their families a chance to reconnect with their providers, is always emotional for Leslie Yelick, attending RN for the NICU. “It’s so special. It’s so surreal. It’s everything. It’s in my heart. This is why I do what I do. I love these babies. I love these families,” she said. Now, the Haines triplets and other little cubs like them are romping and roaring through life, despite their early or difficult starts. That’s why this year’s theme may be one of the most fitting. It is a wild ride for the families who experience special challenges after birth – not just physically but emotionally. Yelick and the rest of the NICU staff do not take that lightly. See all the photos from this year's reunion on the Methodist Women's Hospital Facebook page!